Lophosis labeculata - Hodges#7181 (Stained Lophosis) ♂. Size: approx. 10-15 mm. Photo: 06/21/16, 10 pm. 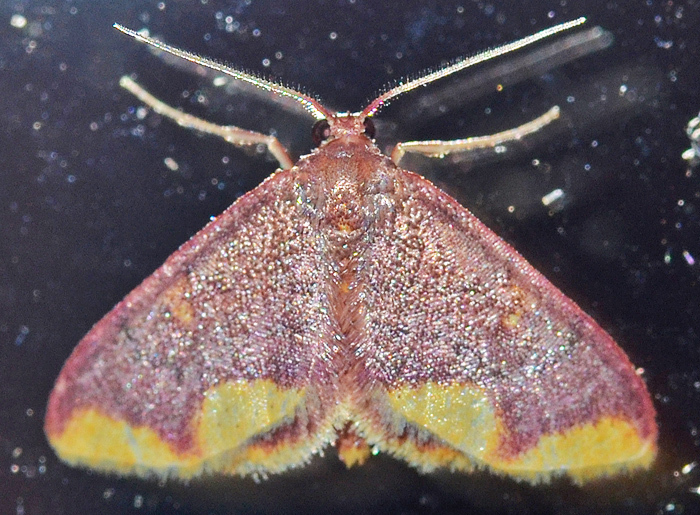 The wings of males are shiny purple with a broad yellow, terminal band separated from the purple by a sharp dividing line. The female (not shown) has similar wings but also a broad yellow AM band. In addition, the terminal band is separated from the purple by a diffuse, broken border.